Dangmei Grace scored a brace as the Indian Women’s Football Team defeated Indonesia 2-0 in their first match of AFC Olympic Qualifiers Round 2 at Mandalarthiri Stadium in Mandalay, Myanmar today. With this, India is bolstering their chances of the 2020 Summer Olympics scheduled at Tokyo. Dangmei Grace’s brace (27’, 67’) were the only two goals scored in the match. So much that these proved to be the difference between the two teams in a match largely dominated both in terms of possession and chances created by Maymol Rocky’s wards. “It is important to keep the winning momentum alive and we were able to do so. We are taking one match at a time and our focus shifts on our next opponents Nepal (on April 06)”, she added. 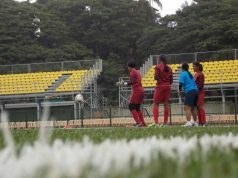 Keeping their winning momentum alive after the success of their 5th consecutive SAFF title win, the Indian women spared little and heaped pressure on the opponents from the opening minute. Some crafty work down the wings by Sanju and Ratanbala Devi proved to wreak havoc on the opposition defense that were unable to read the play of the Indian women between the lines. Sanju’s cross in the 24th minute caused chaos in the Indonesian defense with one defender almost turning it into an own goal, before clearing the lines. Sandhiya’s run in the 26th minute, after she was found by Sanju left a trail of Indonesian defenders in her wake – sidestepping one and casually rolling the ball into the space to create a shot, beating another. Her stinger of a shot from inside the box was saved by the Indonesian custodian Riska Julianti but Dangmei Grace applied the finishing touches from close range to give India the lead in the 27th minute. 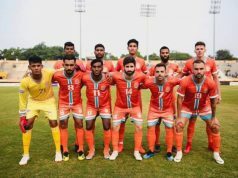 The Indian defense made quick work of any Indonesian counterattacks to equalize deficits with goalkeeper Linthoingambi Devi not being tested once under the sticks as India led 1-0 at half-time. India’s momentum continued in the second half with little difference in the attacking tempo. Ratanbala Devi’s shot from distance in the 56th minute earned an uncanny save from the Indonesian goalkeeper as she fluffed a routine collection. Three minutes later Dangmei Grace failed to score from close range after Sanju found her with a rasping cross that bewildered the Indonesian defense line. 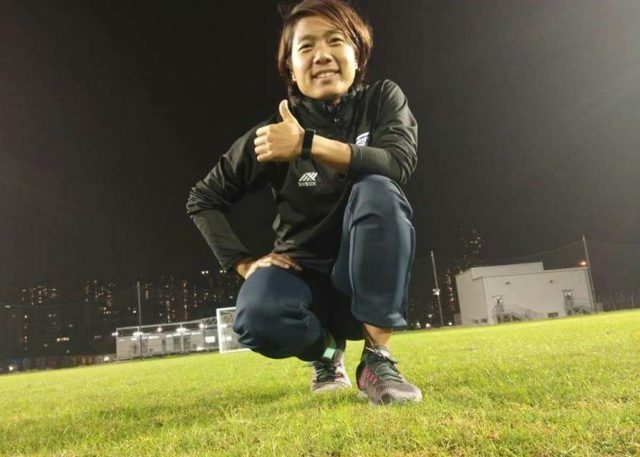 In the 67th minute, Dangmei Grace once again applied the finishing touches to a shot from Sumithra Kamaraj that was haphazardly parried away by Riska Julianti and fell in front of her, to double India’s lead. With the Indian defense extinguishing whatever the Indonesian forwards could cajole, the midfield dominated possession and kept Indonesia on their toes, chasing the ball. The full-time scoreline read 2-0 in favor of India as the women take pole position in Group A of the Olympic Qualifiers Round 2.